In the last couple of years, the Tin Can API has emerged as a buzzword in the arena of authoring tools, learning management systems, and content development. Also known by the name of Experience API, or xAPI, Tin Can is a special program interface with the ability to deliver and truly measure learning experiences beyond what was previously possible. The Tin Can API is being touted as the evolution of the SCORM standard. And although SCORM isn’t going away anytime soon, Tin Can has taken the e-learning world by storm, redefining the very fabric of learning experience tracking. So what exactly is the Tin Can API? And what makes experts around the world believe it to soon become the de facto standard for eLearning content? Let’s explore. In order to truly understand the Tin Can API, we need to first understand what is an API (The nerds and geeks can skip to the next paragraph!). An API (Application Programming Interface) is a set of functions and procedures that allows two different pieces of software (or applications or even gadgets) to “speak” as well as exchange information (data) with each other. The API allows this communication even if the applications were developed independent to each other, by different people or for different devices. The Tin Can API is one such set of functions and procedures that allows for capturing data in a standard format about a learner’s activities from many different platforms. These platforms could be anything from a Learning Management System, websites, blogs, eBooks, YouTube videos, online libraries and so on. Any system or device that is Tin Can compliant can record and store data about these activities and store it in a Learning Record Store in a standard format. Before Tin Can, SCORM was the leading standard for web-based electronic educational technology (e-learning). 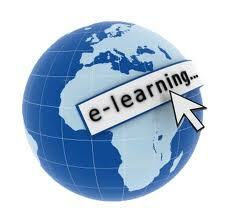 It still continues to be the most commonly used specification for e-learning across the globe. The SCORM defines a Content Aggregation Model that allows e-learning contents to be put in a zip file which can then be loaded into any LMS. It also defines a Runtime Environment so that tracking data can be sent to the LMS. More about SCORM here. But SCORM had some limitations. And while eLearning continued to evolve, SCORM struggled to reinvent itself. It were these limitations that necessitated the development of the Tin Can API. Tin Can API was developed by Rustici Software when they were contracted by ADL, the keepers of SCORM, to come up with a new approach to learning systems and methodology. This was the year 2010 and ADL was looking for research ideas for the development of the next generation of SCORM. Rustici Software believed that “learning happens everywhere”. This belief was the foundation of their research work on how the SCORM specification should be modified to better suit the next generation of e-Learning. They worked on creating a draft specification designed to solve the problems being faced by the e-learning industry and gave it the name “Project Tin Can”. Little did they know that a few years later, this project was going to change the face of e-learning. The project involved a fair amount of research and gathering user feedback which Rustici Software collected via a UserVoice site. Several interviews were conducted with professionals from the e-learning industry. They even reviewed almost 100 white papers written for LETSI who was also working towards creating a SCORM 2.0. Eventually the name “Tin Can API” was chosen after ADL proposed using the prototype that emerged from the “Project Tin Can” as the foundation for the Experience API (xAPI). How Does Tin Can API Work? There is some incorrect information around that claims that the Tin Can APi is a Learning Record Store (LRS). It’s not. The Tin Can API is actually a web-based service that allows Tin Can compliant systems to pass information, in the form of statements, to a Learning Record Store. So, yes, a Tin Can API does need to connect to an LRS but it is not the LRS itself. Let’s start by looking at the problems faced by the current Learning Management Systems and what the Tin Can API does to solve them. The real problem with most Learning Management Systems is that very little training actually happens within the LMS itself. In a real world, the student moves around and uses different devices at different places to further their knowledge. Subscribing to an online training course, and so on. So in reality, the Learning Management System is just a part of a very wide sphere of knowledge. Even if the LMS is well designed and includes all the courses and information that a student needs, it’s never going to be enough all by itself. The student will still look at other resources to further his/her knowledge and to deepen their understanding of the subject matter. This is where the LMS fails. It can not capture those “other” activities that the student carried out in the process of learning. And that’s where the Tin Can API comes in. The Tin Can API allows information, typically known as learning experiences, to be passed in the form of “statements”. This information is then delivered to and stored in a Learning Record Store for future retrieval. Any system or a device that is Tin Can compliant, is known as an “Activity Provider”. Data from these Activity Providers is generated in the form of statements. The example above demonstrates the simple “Actor – Verb – Object” syntax used in Tin Can statements. But statements need not be this basic. A lot more information can be included in a statement, for example: [John][Read][Blog Post X] or [Jane][Completed][HR Training]. As you can see, Tin Can uses an expanded vocabulary of verbs like completed, attempted, scored, resumed, read, attended, commented, registered, responded, failed, and so on. Tin Can uses these statements to track all user activities and saves them to a Learning Record Store. This data can be reported to and fro from any other device or application that understand the language of Tin Can. 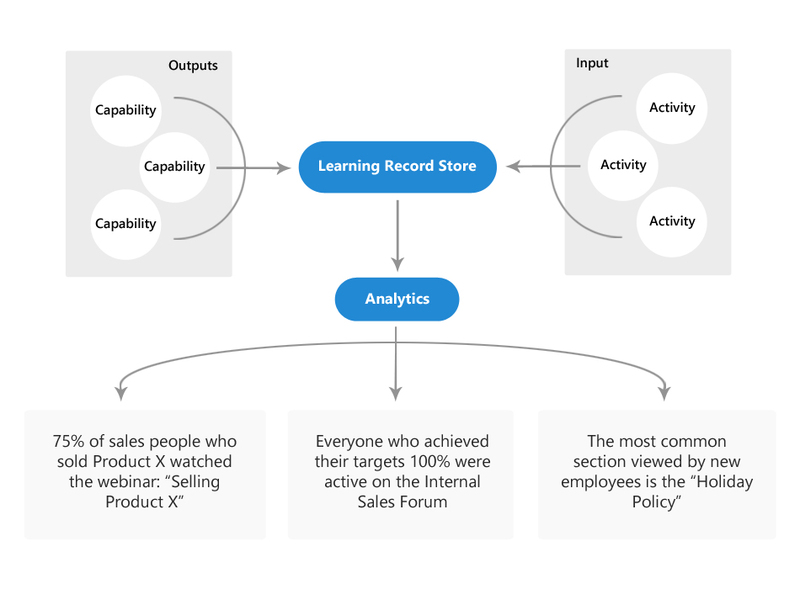 A Learning Record Store (LRS) is a data storage system that serves as a repository of statements, also known as learning records. As Tin Can API enabled systems generate statements, they are sent to an LRS. The LRS repository can then be accessed by an LMS. Note* An LRS can be a part of an LMS, or can be a stand-alone service and can also provide additional values apart from storing learning records. The biggest reason to use Tin Can is it’s flexibility and the ability to track learning activities in the modern world where learners have access to all kinds of study materials and learning opportunities across many different channels and locations. Learning is no more limited to just Learning Management Systems. As Rustici Software envisaged, learning happens everywhere: we learn while traveling to work, carrying out our jobs, while socializing with friends, and even while on vacations. Tin Can API allows us to keep track of all such learning activities in a simple, standard format. Because of the ability of the Tin Can API to track any and all learning experiences, it allows us to look at the bigger picture, creating possibilities of modern, advanced learning and tracking systems for organizations. The Tin CAN API is a big leap forward from the limitations of the SCORM standards. It fuses together e-Learning experiences worth over a decade with technological advancements to provide even more options and flexibility to both organizations and learners alike. Thanks to Tin Can API, there is a new term that has emerged. That of a “quantified learner”. It describes the ability to use technology to track individual learning data. This data can be extremely valuable to organizations looking to impart quality training to its employees. It can be used as a benchmark against previous learning experiences. It can also be used to plan for future training projects by taking a stock of what the learner already knows and mapping it against what he/she needs to know. Or quite simply, this data can be used to review existing training quality and improve it based on user feedback. Taking a leaf out of our friendly, neighborhood Spiderman’s comic - “With great power, comes great responsibility”. The same holds true for the Tin Can API. The flexibility and power that comes with tracking learning data has led some organizations to believe that simply adopting the Tin Can standard will help them deliver good quality courses. Unfortunately that’s not true. Tin Can, by itself, is not going to improve or change the quality or the structure of a course. It’s not going to help improve the presentation or the UI that was being used to deliver the course. The content is going to look and behave exactly the way it did when it was created. Tin Can only controls how the learning data is tracked and stored. 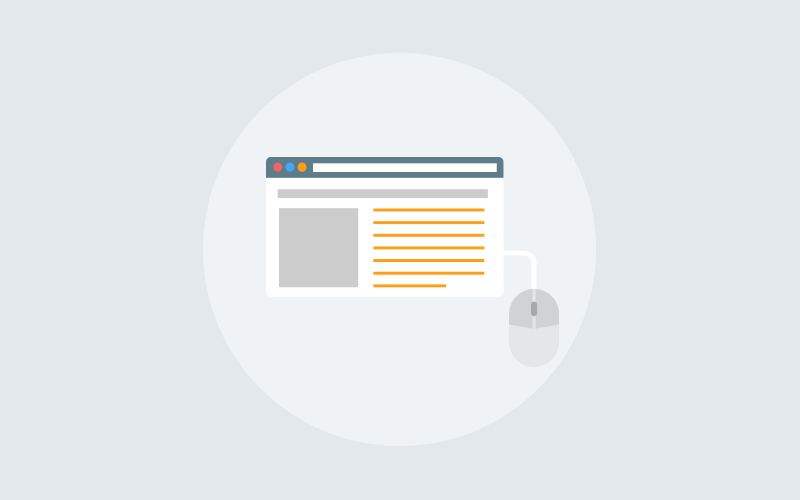 The overall quality of any e-learning course will depend on the quality of the authoring tool and the efforts that went behind creating the course. And finally, although Tin can can track learning activities that were carried out on a mobile device, it won’t automatically transform your content into being mobile responsive. If the Tin Can API is adopted as the standard for e-learning tracking by the global community, it will allow us to break free the learning content and activities from the shackles of the Learning Management System. The data gathered from tracking learning experiences across the diverse range of learning platforms will help us create much better and impactful experiences for the future. This opens up the possibilities of a new era of data mining opportunities with respect to correlation and causation. It’s true that Tin Can simplifies elearning, opens up new possibilities in terms of where online content can reside, not web-browser reliant, more secure, teamwork friendly and so on. But, the question that arises now - Will Tin Can continue to dominate the world of elearning or soon a new technical standard will replace it? Go through these below-mentioned blogs to understand how Experience API has shaped up in the past few years and online training domain can’t afford to lose it. At ProProfs, we decided to take a similar approach to Tin Can as we did to SCORM support. We identified the issues at hand and worked hard to ensure that all third-party content can be imported easily and painlessly into the LMS. The resulting ProProfs Tin Can feature is a powerful and robust system that allows customers to import their content in a matter of seconds.